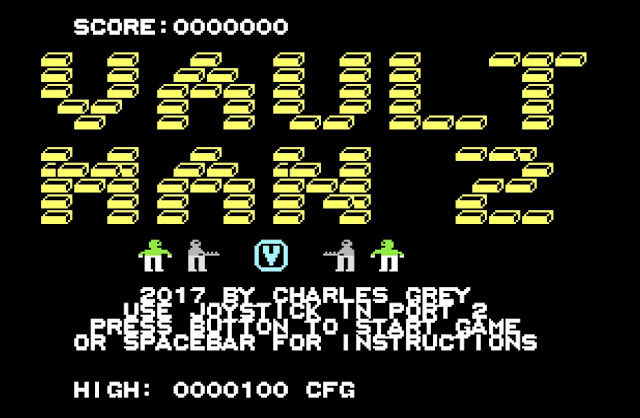 Indie Retro News: Vault Man 2 - A puzzling C64 game by Charles Grey is here! Vault Man 2 - A puzzling C64 game by Charles Grey is here! 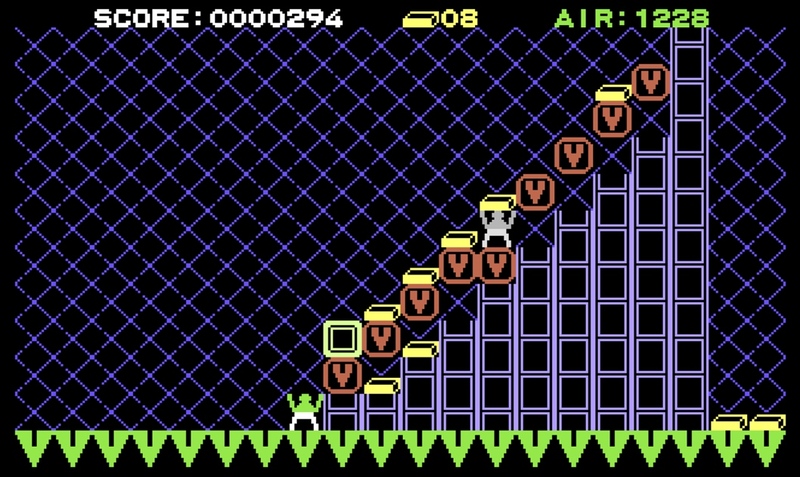 I thought it would be a good idea to let everyone know that a new C64 game has been released by Iceout titled as ' Vault Man 2 ', which was developed by Charles Grey! First announced as a preview some time ago, the aim of this game is to collect as many of the golden bars in the level as possible and bring them to the vault door. Be warned though, as it's a vault containing deadly monsters and there's a lack of oxygen, if you don't return to the door in time you'll pass out and die! Links : 1) Source 2) Download 3) A trainer if the game is too bloody difficult!